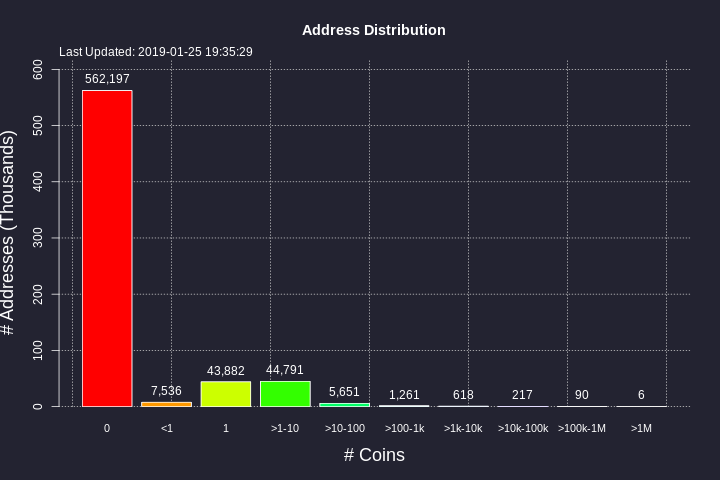 This was like 80% of the pre-fork coins sitting in addresses with 1 chi each. Conveniently there is some bug on xaya-gaming.net that is preventing the rich list from updating, so you can see the data from Dec 29th there right now. Very interesting! Since this was presumably a big miner or pool, it would be interesting to see whether those coins were from Neoscrypt, SHA-256d or both types of blocks. Do you know that? I spot checked a few using the official explorer and they were all sha256d. I'm not set up to trace coins like that at the moment though. only f2pool join sha256d mining right? is't possible to have f2pool open the Neoscrypt GPU Mining? it certainly the shark news in China.